Sperry is marking down all their sale styles an extra 20% off when you use the code DEEPDIVE. 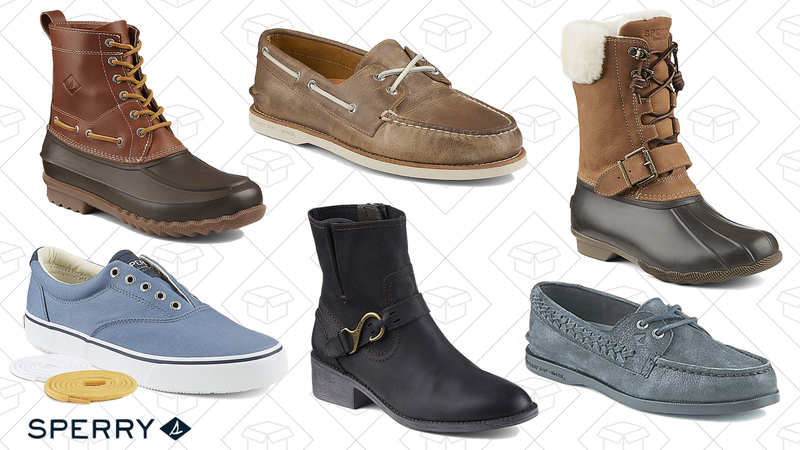 Tons of cold weather styles are marked down, with their classic boat shoes and loafers hanging around too. Listen, the best time to stock up on seasonal staples is during the off-season, so don’t even think about rolling your eyes at the thought of ordering loafers.